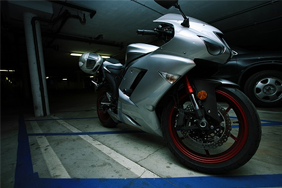 Keeping your motorcycle off the road over the winter months can make insuring it for a full year seem wasteful. What are the options? As bad weather sets in, most people will be locking their bikes away until next spring. However, since Continuous Insurance Enforcement (CIE) rules were introduced in 2011, you need to have valid insurance for any vehicle that’s not declared off the road, at all times. This means that if you decide to cancel your cover for winter, you'll have to declare your bike as officially off the road and get a SORN. You'll then have to reverse the process again when fairer weather returns. If you fail to declare your bike off the road, you risk being fined or even having it seized by the authorities. 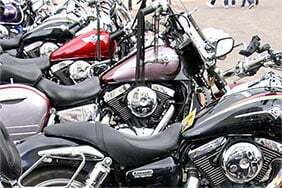 Read more: How to claim on your motorcycle insurance? SORN stands for Statutory Off Road Notification. You receive this from the DVLA when you inform them that your vehicle is no longer on the road. 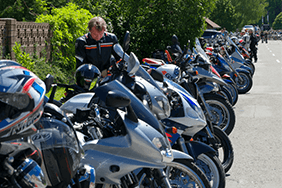 A SORN is valid until your bike is taxed, sold or scrapped, and it must be in – and remain in – Great Britain in order for the SORN to be valid. So if you’re thinking of taking your bike off the road for the winter months, you’ll need one of these. 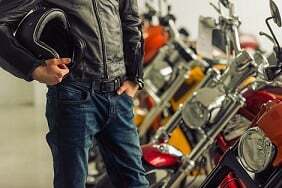 How do I SORN my motorcyle? You can declare your bike SORN on the GOV.uk website. You'll need to know your registration number and the reference number from your V5C, or the V11 reminder reference number. Remember that declaring your bike as off the road also means that you won’t be able to go for that one-off spin you’ll be itching for throughout winter. With this in mind, you may want to consider keeping your policy running instead. 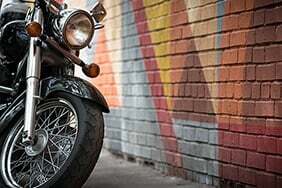 If you don’t SORN your motorbike you can keep your insurance policy running. 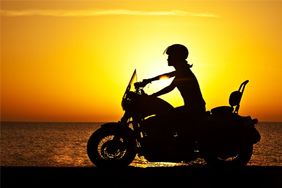 So you’ll benefit from the peace of mind in knowing your motorcycle is fully protected against fire and theft wherever it is. It also means that you can ride your bike whenever you want. That means being able to go out whether it’s an emergency or just a crisp winter’s day, perfect for a ride. The alternative, driving uninsured, will get you a fixed penalty of £300 and six points on your licence. The offence also carries a potentially unlimited fine and disqualification from driving, if the case goes to court. 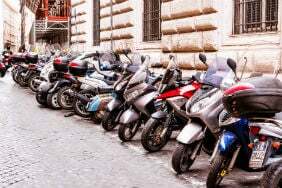 Being prosecuted for riding without insurance can also make your future insurance premiums rocket, if you can find an insurer that will cover you at all. If you do opt for the annual policy, you’ll want to make sure you’re getting the best possible deal. One common way to keep costs down is to opt for third-party, fire and theft (TPFT) rather than comprehensive cover. However, do your sums first, as comprehensive can sometimes work out cheaper. So shop around and compare different types of policies. 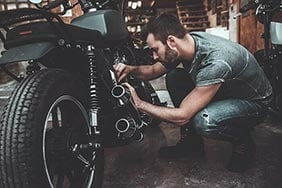 You'll find more tips on how to cut your bike insurance premiums in our guide, how motorcycle insurance is calculated.